It\'s happened to us all - an email that was meant to be sent only to the original sender ends up going to everyone on the email list. 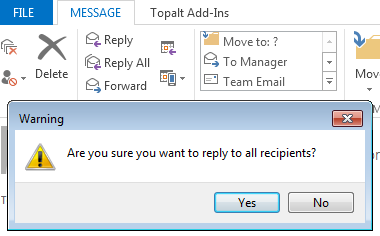 It\'s called the Reply All faux pas. For some, it can be an embarrassment, but for others, it could be a legal liability. Lawyer firms and Doctor\'s office work on strict need to know conditions, so a simple slip of the finger can cause big troubles.